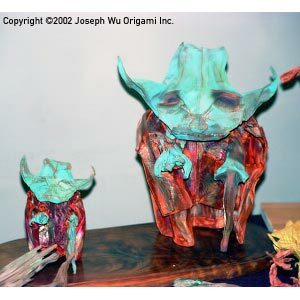 At the OrigamiUSA 2002 Convention. Lane works in copper mesh. The green colour is a result of oxidation of the copper.